How Can Parents Know their Child's Inner World? Unlocking Parental Intelligence lifts the curtain on these questions by helping parents become "meaning-makers" who understand the significance behind their kids' behaviors. Experienced psychoanalyst Laurie Hollman, Ph.D., reveals five enlightening steps to help parents solve problems by learning what their kids think, want, intend and feel. Parents and professionals alike find a new empathic approach from this uplifting book that will reshape families' lives in 2016 and guide them through all stages of typical and atypical development. These and many other stories are written in accessible, gentle ways where you really get to know the mothers, the fathers, and the kids that you can relate to because they're just like your kids and you. In five manageable steps parents learn how to get to know meanings behind their kids' behaviors because misbehavior is actually an invitation for understanding. If you're a parent and you think you are lost or have felt alone, you're definitely not. There's a way to fix what's going wrong. You really know a lot but just need these five steps to harness the parenting skills that you already have. Stepping Back means beginning the search for meaning, let's say, one brother hitting another. Stepping back means slowing down, pausing, taking no action until you have time to review the behavior. Go over what your child did, when he did it, looking for a sequence as you track the behavior. What's important is that you suspend judgment as you accept what happened is meaningful! All you need to do is decipher the behavior's message. This means suspending judgment not only about what your child's behavior, but also about your parenting behavior. It gives you permission to not know what to do, time to question your assumptions, and realize the situation isn't understood. After all, if you don't understand something, how in the world can you know what to do about it? This step gives you the opportunity to slow down and think about your own feelings--your own reactions to the situation. Maybe you were hit as a child and this hitting behavior stirred up all kinds of stuff in you. Maybe you feel guilty because you've set an example by hitting your child when he was ornery and insufferable. Dad: "Can I take a peek at your painting? His son shuts the computer and says, "I can't show you. You'll be mad at me." Dad:"I don't get mad at you. I promise I won't be mad about a painting." He reveals the computer painting. Dad: "I see you and me. What am I doing? Can you tell me? Son: "You're going away for a long time." Dad: "Okay. Where am I going? Son: "I don't know. You're going away because I'm bad. My teacher thinks I'm bad." The little boy jumps on his father's lap, something he never does. Dad feels close to his son now. Dad: "Why does the teacher think you're bad?" Son: "Because I hit my brother. That's Really Bad. And you went away. Far away." Dad: "Do you think I went away because you hit your brother?" Son: "No. You went away because I can't read. You like smart boys who can read, like my brother. 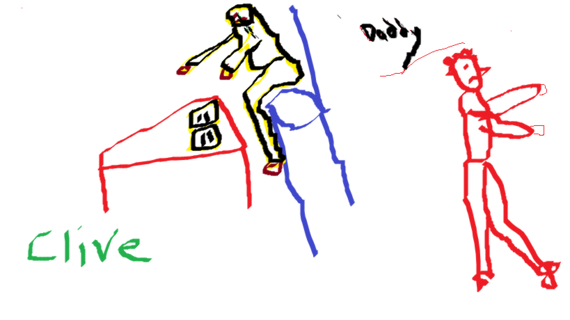 Now Dad understood what was on his son's mind and clarified it carefully. "I went away to make money for all of us, not because you don't read yet. I never go away because I don't like you. I love you. Lots of kids don't read in kindergarten. It's not a race to see who can read first.You're such a great son." Some children are precocious and need special programs. Others are delayed and it's important to not overly expect them to achieve certain tasks before they are ready or their self-esteem will be damaged. In the example above, there were no developmental problems. Hitting wasn't really even a problem. It vanished as soon as the father understood. The problem was this identical twin was jealous of his father's acceptance and attention to his brother. This was easily solved now that the meaning was clear. 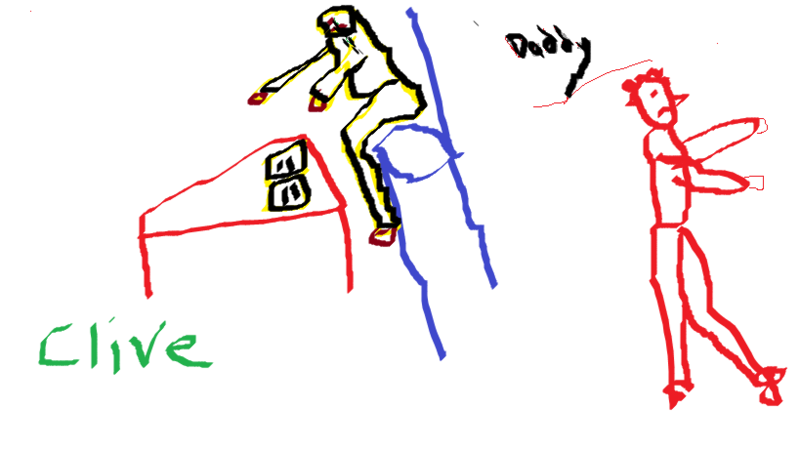 Dad solved the problem by spending time with both boys playing non-competitive games and spending alone time with the artistic son doing things they enjoyed together. 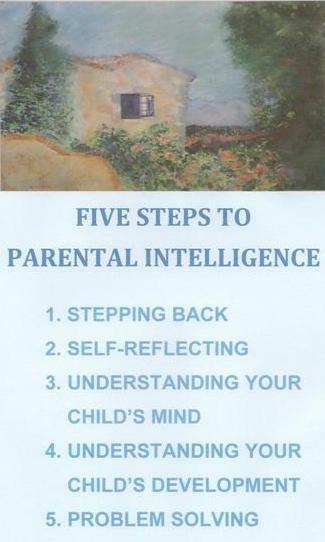 To learn more about Unlocking Parental Intelligence visit the author's website. The book can be found on amazon, barnes and noble, familius and wherever books are found.